MEDIA ADVISORY - The O2X Human Performance Workshop is coming to the Prince George’s County!!! The O2X Human Performance Workshop is coming to the Prince George’s County next week. leader in providing Human Performance education and training to our Nation's heroes, tactical athletes and elite organizations. conditioning. These five pillars of human performance make up our comprehensive EAT SWEAT THRIVE methodology. Our unique curriculum is backed by the latest in cutting-edge science and research and presented by our team of world-class specialists. Through our EAT SWEAT THRIVE principles, O2X experts deliver a tailored curriculum that forms the framework for making small, incremental changes that will lead to sustainable lifestyle improvements. firefighters and other tactical athletes can finish their careers as strong as they started. 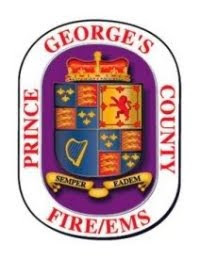 O2X will be instructing Prince George’s County Firefighter/Medics and Police Officers for four days from May 29th through June 1. Instruction will be conducted at the County Police HQ Gymnasium, 7600 Barlowe Road in Palmer Park. Media availability of O2X staff and students will be on Wednesday, May 30th, between the hours of 8:00 am until 11:00 am. To attend, media should contact Alan Doubleday, Deputy Fire Chief, at 202-480-4776..